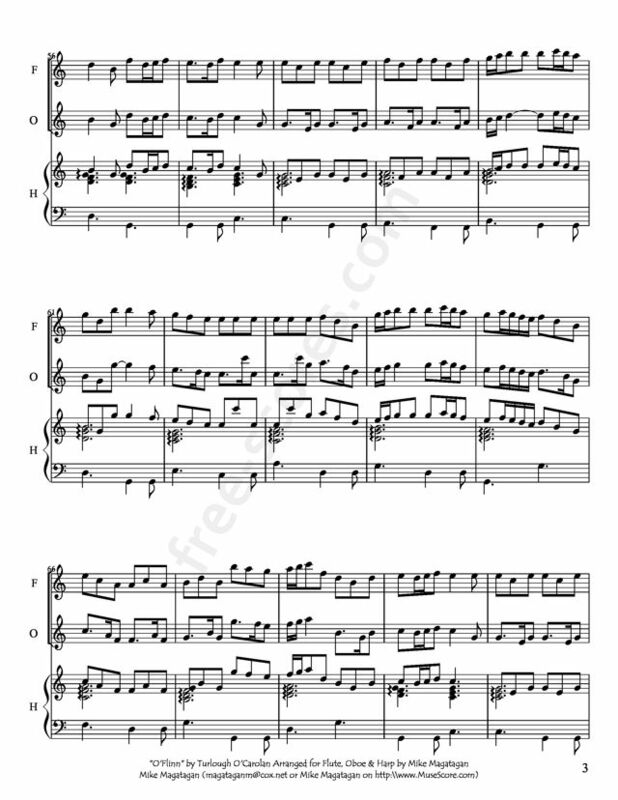 Turlough O'Carolan (1670–1738) was a blind early Irish harper, composer and singer whose great fame is due to his gift for melodic composition. He was the last great Irish harper-composer and is considered by many to be Ireland's national composer. Harpers in the old Irish tradition were still living as late as 1792, as ten, including Arthur O'Neill, Patrick Quin and Donnchadh Ó Hámsaigh, showed up at the Belfast Harp Festival, but there is no proof of any of these being composers. Ó Hámsaigh did play some of Carolan's music but disliked it for being too modern. 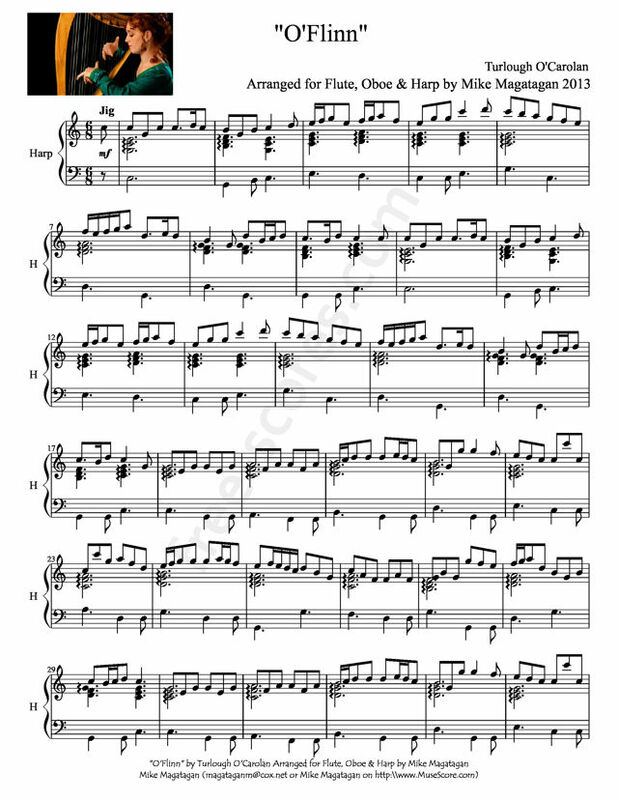 Some of O'Carolan's own compositions show influence from the style of continental classical music, whereas others such as Carolan's Farewell to Music reflect a much older style of "Gaelic Harping". 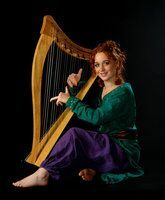 Though the harp is by no means peculiar to Ireland, it has been regarded from early mediaeval times as supremely the musical instrument of the Irish. But %T much of the music of the harpers is lost in the mists of antiquity. 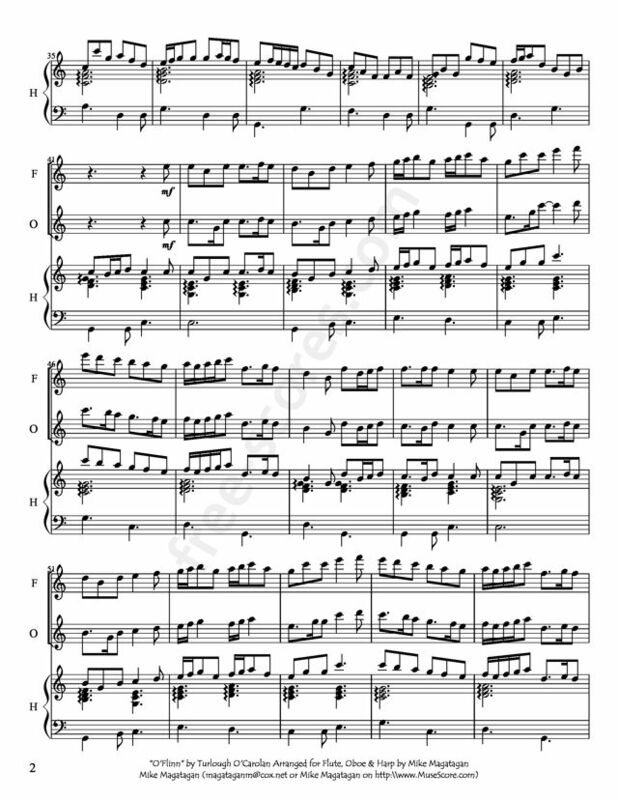 Carolan (1670-1738) was the last of the Irish harper-composers and the only one whose pieces have survived in any number. About two hundred of his pieces are extant, but they are found scattered in manuscripts and in rare (sometimes unique) printed books, often being unidentified as his. They are now gathered together here in a definitive edition. Carolan was blinded by smallpox in early youth and adopted music as a career. His genius for making melody manifested itself almost at once, and for nearly fifty years he travelled the Irish countryside, staying at the great houses and entertaining the company with his playing and singing. The great majority of his pieces were composed in honour of his patrons and in most cases he devised verses to fit the music. He was also a familiar figure in Dublin. Although this work was originally written for Folk Instruments, I created this arrangement for Flute, Oboe & Concert (Pedal) Harp.